Since being selected by the Army Families Federation (AFF) to relaunch its flagship magazine in 2013, we have played an integral role in delivering the title to military families up and down the UK and overseas. We take our role as publisher of a charity magazine very seriously and that is reflected in the lengths we go to to ensure each issue is as impactful as possible. Beginning by liaising with the magazine’s editorial team over content ideas, we then sub-edit all copy, source images and layout the wealth of news and feature pages that grace each issue. 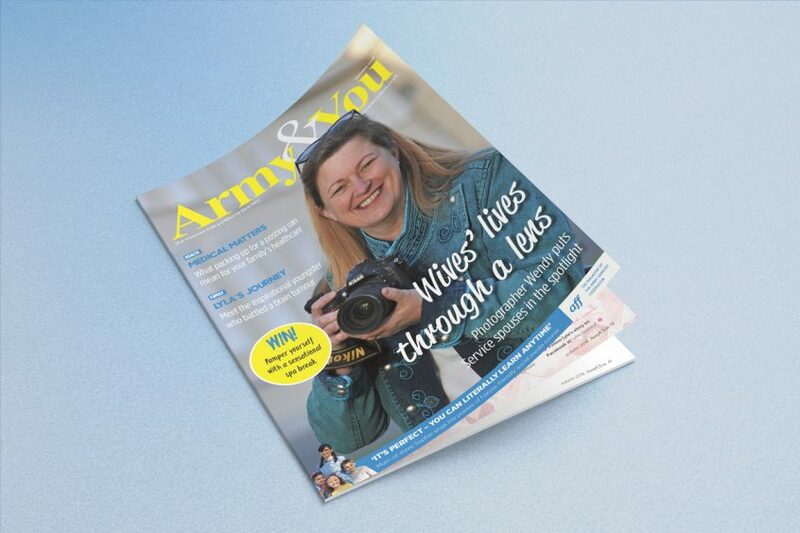 The magazine’s existence relies on the support of advertisers, so we work with a variety of organisations who want to reach Army&You‘s engaged readership by appearing in each of the 40-50,000 copies printed every quarter. We also pick up our pens to write quarterly law and education advertorials, as well as helping out with editorial content when required. And that’s not all. Such is our belief in the value of AFF’s work that we built and now maintain the Army&You website to keep Service families up-to-date with the latest news between issues. The website continues to grow in popularity, with visitor numbers rising year-on-year. Here’s to the next 20 issues! If you would like to find out more about our publishing services – printed or digital – email info@tylerbale.co.uk or call Steve or Andy on 01252 714870.